Here's Me Using the Word Blog in a Sentence: I Am Totally Late to BBAW. I Am Totally Late to BBAW. BBAW is Book Blogger Appreciation Week. It was last week. I am so late. But I wanted to write a quick post about book bloggers because my respect and appreciation for book bloggers is enormous. 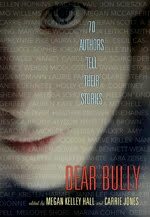 Now that my next book, Please Ignore Vera Dietz is coming out, I knew the book blogging community would spread the word again, which they are certainly doing. I did think we'd have less trouble with availability this time around, though...but I was wrong. I found out from Random House that chain availability might be spotty (or even non-existent in places) which caused a ripple of mixed feelings. When I discovered that chain availability was going to be scattered (after a deep sigh and the usual cursing) I called out to my book blogging friends and said, "Um. Please Help?" And do you know what the response was? YES. OF COURSE. PLEASE LET US HELP YOU. Reader, can you feel the love? Because I sure could. I admit, this Vulcan dropped a small tear at the thought of it. So, to those bloggers--you know who you are--thank you so very much for your help and your brains and your time and your generosity. And your solidarity. I appreciate it more than I can really express without offering you a herd of camels or something. Book bloggers are generous, yes, and friendly and sweet and all those things. But I bet there's something you didn't know about them that I do. They are all SUPERHEROES. They hold down jobs, go to college or high school and have lives, just like the rest of us...and yet they read many books per week and manage to entertain and educate us about what they're reading through their blogs. Seriously. Book bloggers are from a planet where either the days are longer than 24 hours, creatures have twice the amount of energy than regular humans or do not require to sleep. Yes. I've said it. 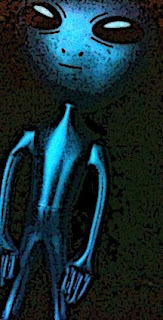 Book bloggers are BENEVOLENT SUPERHERO ALIENS. Sorry to blow your cover, guys. But I just couldn't hold in the secret anymore. And yes, I'm talking to all of you. Even if you hate me or my books. Don't care. You rock. Full stop. Don't know how you do it but I sure as hell hope you keep on writing, because the reading world would be a poorer place without you. Michelle from Michelle's Minions made my Monday morning with this line: "Fans of John Green will love this quirky and original book." 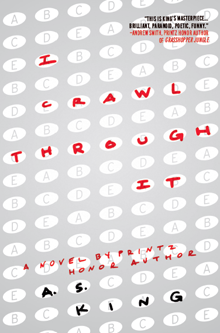 Her review concludes: "This is a story that will leave you feeling a little bit sad. It will make you laugh, leave you thinking, surprise you and even make you feel a little bit liberated. 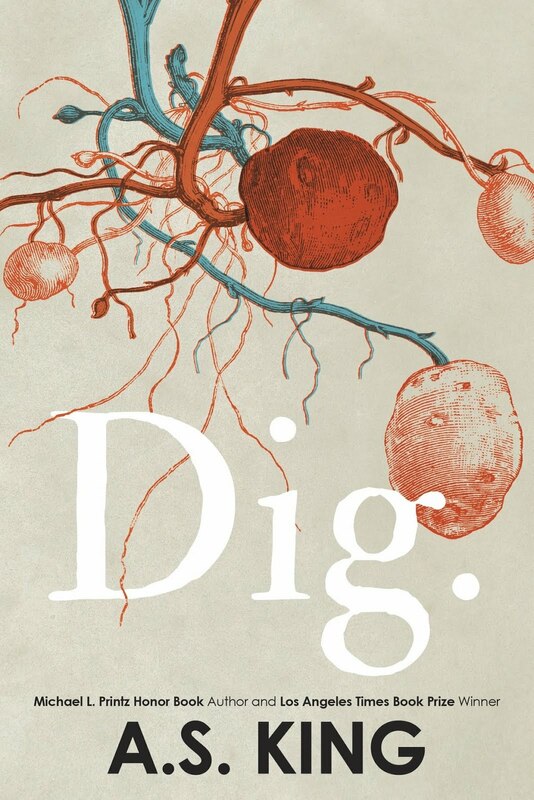 If you are looking for an intelligent, edgy and unusual book, I highly recommend Please Ignore Vera Dietz." 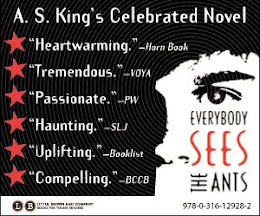 Reading Junkie shared her review this weekend: "A.S. King draws readers into Vera's world and then slowly peels away the layers to reveal each and every secret. The characters speak realistically and the situations ring true making King's story flow smoothly despite the many shifts in focus. This novel will please King's fans and earn her many new ones." Ravenous Reader said: " . 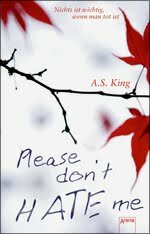 . . you may be left haunted by some of its darker moments but A.S. King has the power to create a story that while compelling, brutal and comically twisted you will be glad that you have read it." A review over at Sarah's Random Musings said: ". . .[A.S. King's] writing is insightful and heartbreaking, while inspiring and beautiful in the turn of a page. 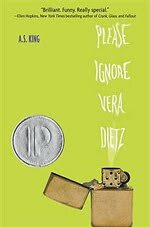 Please Ignore Vera Dietz is more than a coming of age story. It is one of those books that after you read it, you will be just thinking "Wow!"" A huge thank you to all of you dedicated book bloggers out there for your hard work. Now I'm off to the NAIBA conference. See you later this week where I will reveal the evil pizza-related plan. I'm a writer. 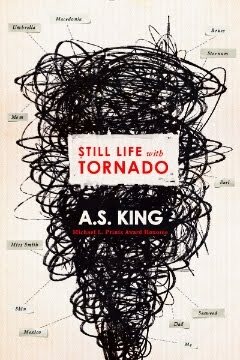 Still Life With Tornado is out now and people seem to dig it so far. I Crawl Through It is surrealist glee. 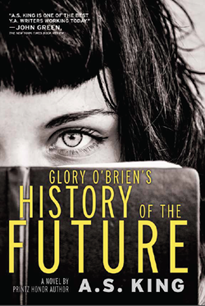 Glory O'Brien's History of the Future won the Walden Award. 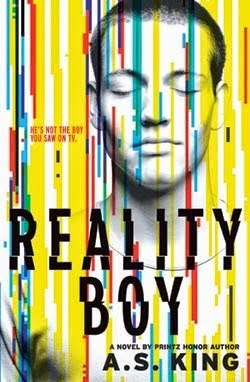 Reality Boy was a NYT Editor's Choice. 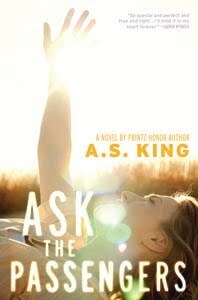 Ask the Passengers won the 2012 Los Angeles Times Book Prize. 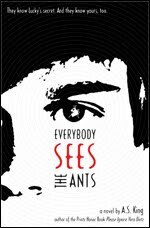 Everybody Sees the Ants was a 2012 ALA Top Ten pick and an Andre Norton Award finalist. 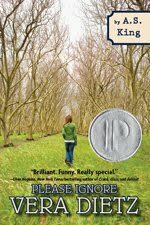 Please Ignore Vera Dietz was a 2011 Michael L. Printz Honor Book, and an Edgar Award nominee. 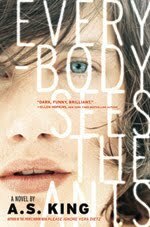 The Dust of 100 Dogs was an ALA Best Books for Young Adults, and Cybils finalist. A new YA book is coming in 2019. 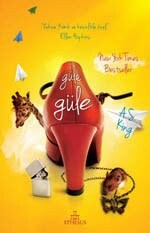 I also write Middle Grade fiction under the name Amy Sarig King. I like corn. The Kirkus. The Star. The Review. Ms. Jupiter, Baby! YOU ROCK!